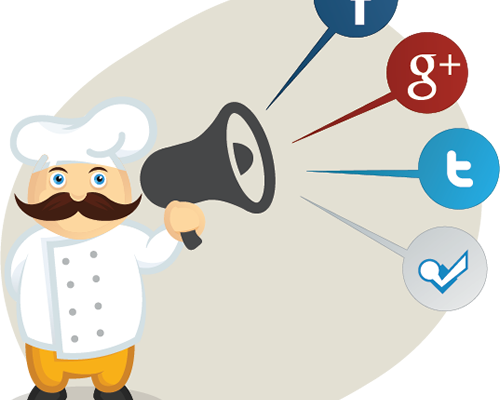 Your Restaurant’s Social Media Strategies Should Be UNIQUE! HomeArticleBali Your Restaurant’s Social Media Strategies Should Be UNIQUE! Social Media is one of the most crucial parts in the commercial field. Nowadays, it determines the flow of customer engagement significantly and almost every company has been using it as a benchmark for its marketing paradigm. Take the restaurant scene as an example. To paraphrase the Bard – Some restaurants get Social Media, some restaurants are catching up with Social Media, and some restaurants are going to have Social Media thrust upon them. It would be useless if a company hires an expensive agency to make something attractive if they do not keep themselves in the loop for updates and trends of social media. Every company should have an efficient and effective social media campaign, however the rules and requirements does not only differ from industry to industry, but also within the categories as well. Example: a fancy dessert place, an authentic Chinese restaurant, a sports bar that serves pub grub, all of them have different types of customers that need to be reached out in different ways. You can probably post a picture of your best-seller cute-looking dessert on Instagram for the first case. Publish articles about new menu, post eye-catchy photos of new stuff happening at your restaurant, or tips and tricks on how to eat healthy at your restaurants – mutually exclusive strategies that are great for your marketing ideas. Do not believe in the one-size-fits-all method. Begin to polish your social media engagement by skimming through strategies that market leaders have been applying to reach success, take note, and execute. Don’t waste your time, because in this case, timing is what matters most. Learn what your customers prefer most, study their behavior, because you know your customers more than anyone else. The post Your Restaurant’s Social Media Strategies Should Be UNIQUE! appeared first on Qraved Journal.